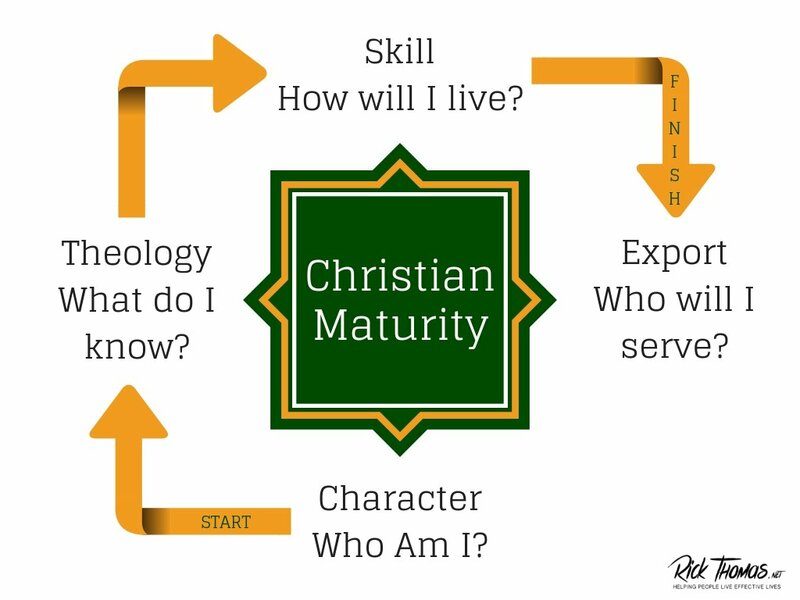 Shows Main Idea – What is Christian maturity, and how do you know if you’re mature? How do you help your friends grow up into Christlike maturity? In this podcast, I’m going to tackle these questions. God acts upon us by regenerating us (John 3:7), which sets the stage to change our inner selves into Christlikeness, a lifelong process. If you don’t do these three things simultaneously, your mind and behaviors will not change. Your “new heart” needs input from your interactive relationships with God and others, a process that permits you to experience Christlike growth. The more your new heart experiences biblical shaping influences, everything that flows out of it will have Christ-qualities. Cf. Luke 6:43-45; Proverbs 4:23. In a way, your character is the most important aspect, though there is an inseparableness to all four of these parts listed here. Practical Illustration – When hiring someone for a ministry position (or another type of work), it’s critical that you know them from a character perspective. You cannot discern an individual’s character from a battery of tests. The only way to know them is to spend extended time with them. 2 – What Do I Know? Everything we know about God comes from the Bible. God’s Word is a special and unique revelation (2 Timothy 3:16) that permits us to know God so we can imitate Him (Ephesians 5:1). It gives the Spirit of God something to illuminate. God’s Word is a spiritual book that you “figure out” (discern) spiritually (2 Corinthians 2:14). With the Word of God and Spirit of God actively working in your mind, you’re in the best position to experience transformation. 3 – How Do I Live? You can refrain from putting pressure on yourself to be like someone else. You should become a maturer version of the person that God has created you to be. You should refrain from expecting people to be like you. 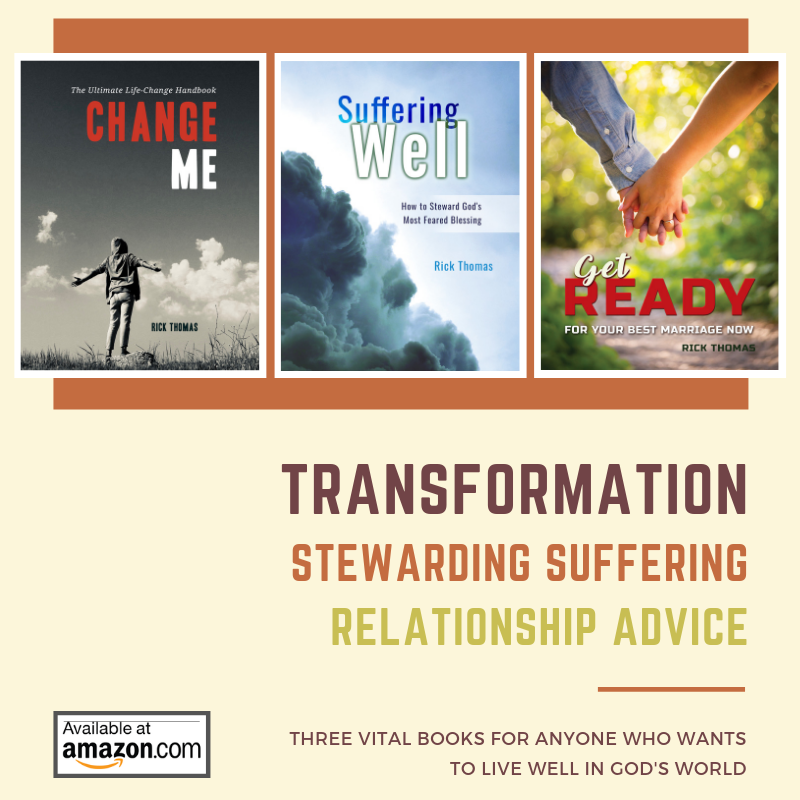 A good friend will discern others to see what God is doing in their lives and cooperate with the Lord to help that individual become a better version of their Christlike selves. 4 – Who Will I Serve? Part of our call is to go and make disciples, which flows right out of the two most significant commandments to love God and others most of all. A non-serving Christian is a broken Christian if he’s a Christian at all. To not care for (serve) others is antithetical to the gospel. Cf. Philippians 2:3-11. There are many dangers if you isolate the behavioral side of life from the inner person (character). People can put on a fake Christlikeness because they are smart enough to do so. An individual can take serving and turn it back onto himself, which is narcissism. Serving requires an object, which is God and others, but if you make yourself the object of your love, it’s self-serving. Serving can become normative in some church settings as they promote ministry while not focusing on character. E.g., you can be a leader in a ministry with an awful personal life or marriage. It’s critical that you get to know a person at all four of these elements: character, theology, skill, and service. If you want to be a good friend, you need that kind of access into their lives. You want to give that kind of access to your friends so you can grow up into the best version of Christlikeness that God intends for your unique life. All four of these things are happening at the same time, and all four influence each other. If one of these elements is not what it should be, the other elements will be affected too. You can use any of these elements to discern the whole person. E.g., if a person is selfish, you want to look at their capacity, theological development, and character-related issues.